Jihad Watch : Imagine the surprise of Swedish authorities when they discover that this isn’t happening just among a tiny minority of extremists, but is mainstream Islamic practice. But by then it is likely to be far too late. “‘After day with Christians, Muslim teens wash in mosque’: Study charts rise of Salafism in Sweden,” RT, July 16, 2018: The largest-ever report on the fundamentalist branch of Islam shows Salafist preachers in Sweden are cooperating to push their message across Muslim communities – and disturbing everyday behavior is now common even in children. 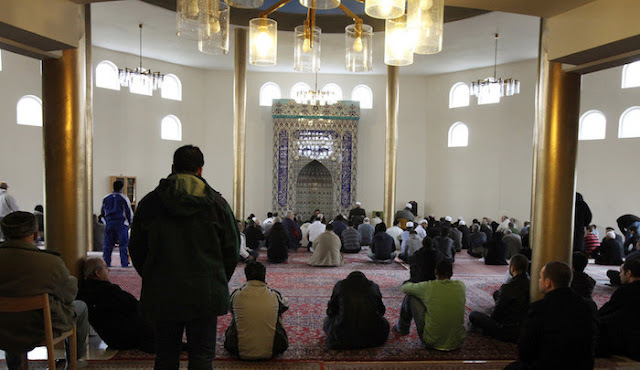 “Not all Salafists are jihadists, but all jihadists are Salafists,” says the 265-page study of a movement that advocates a return to ‘pure’ Islam, commissioned by the Swedish Civil Contingencies Agency, a government department. Swedish authorities declared last year that the number of militant Islamists in the country had risen from 200 to 2000 in a decade. Through 70 interviews with police, social workers and community representatives, the study attempted to understand how religious belief leads to terrorism. What it found was a well-organized ideology consciously pushing for the Muslim minority to divorce itself from the cultural surroundings of mainstream Sweden, creating a deep social rift from which terrorists and jihadist recruits can emerge. “Salafists advocate gender segregation, demand that women veil themselves to limit ‘sexual temptation,’ restrict women’s role in the public sphere and strongly oppose listening to music and some sports activities,” writes the author, prominent extremism researcher Magnus Ranstorp.